Once again I apologise for my brief hiatus this month. I swear it feels like I have blinked and all of a sudden it’s the end of February! Where did this month go?! Since my last post a lot has happened, so make sure you have a nice hot cuppa beside you as this is going to be a long one! 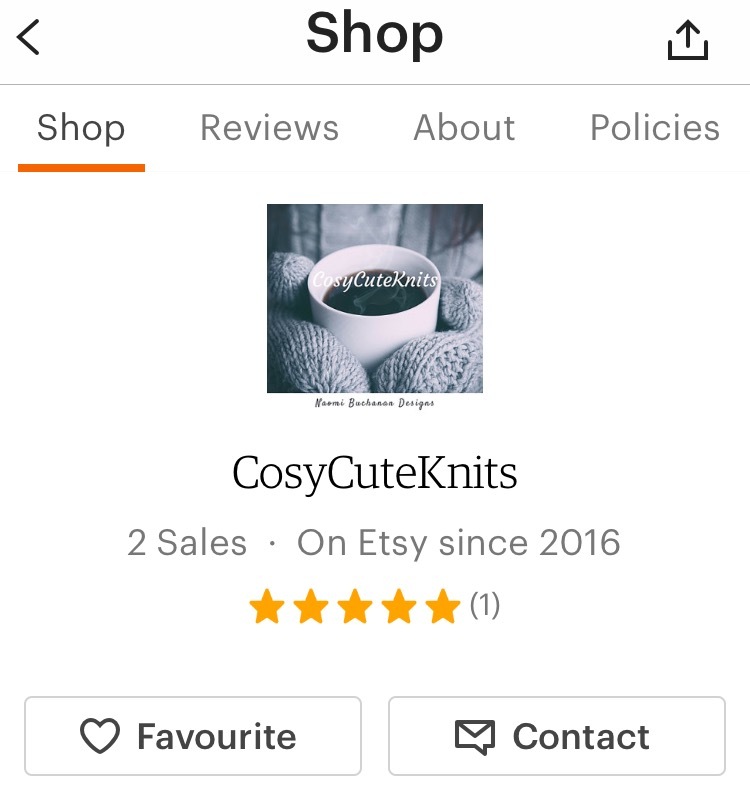 Firstly I have started a new venture since I last spoke to you… I opened my Etsy shop CosyCuteKnits! Not going to lie I was more than a little apprehensive about opening the shop, but my lovely and very talented friend Tracey (@ewemomma on Instagram, Etsy and Ravelry) convinced me to give it a go. Thanks hun! In my Etsy I am selling handmade project bags & needle cosies, and I was thrilled to get my first two orders for my bags, both from the US! Both bags were well received which definitely made my day! My sewing machine is certainly getting a lot of use recently, and I find it hard to believe that this time last year I didn’t even know how to use one! I’m so glad I decided to learn though, as it is another skill to add to my crafty repertoire. In addition to this I have another exciting crafty thing to tell you about – my new pattern design! My latest design is for a beautiful triangular shawl with a delicate butterfly lace detail, which is aptly named the Follow The Butterflies Shawl. This name is also a clever (if I do say so myself) nod to one of my favourite book series’, Harry Potter. It’s from one of my favourite Ron Weasley quotes that always makes me chuckle: “Why spiders? Why couldn’t it be follow the butterflies?” J.K.Rowling, Harry Potter and the Chamber of Secrets. 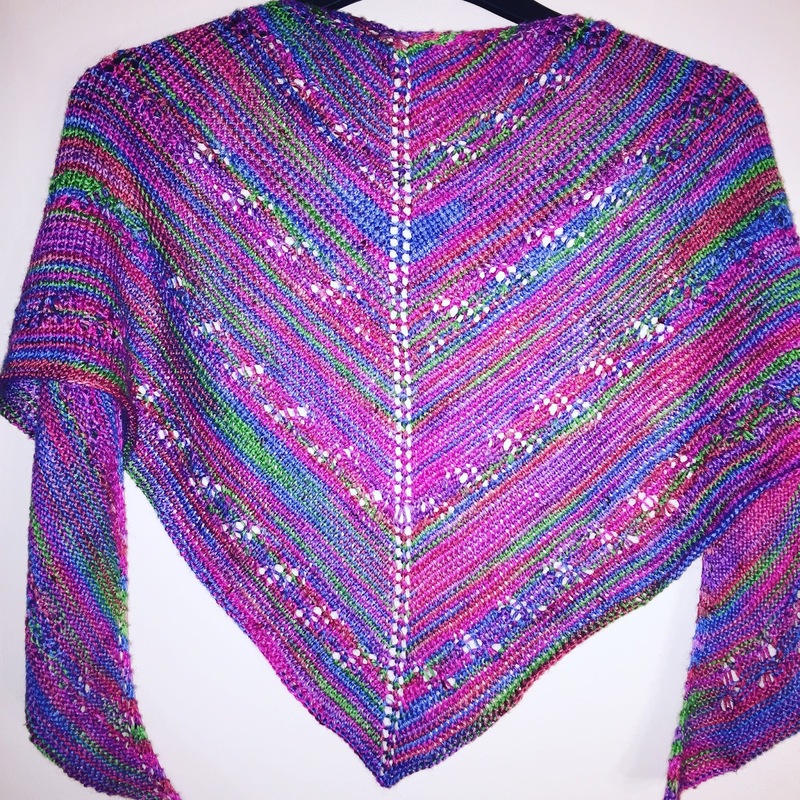 This new design was tested for me by the lovely Tracy from NorahGeorgeYarns on Etsy & Instagram, and she recently showed her finished gorgeous shawl on her latest podcast episode – Crafts From the Third Floor on YouTube – so make sure you head over and check it out. 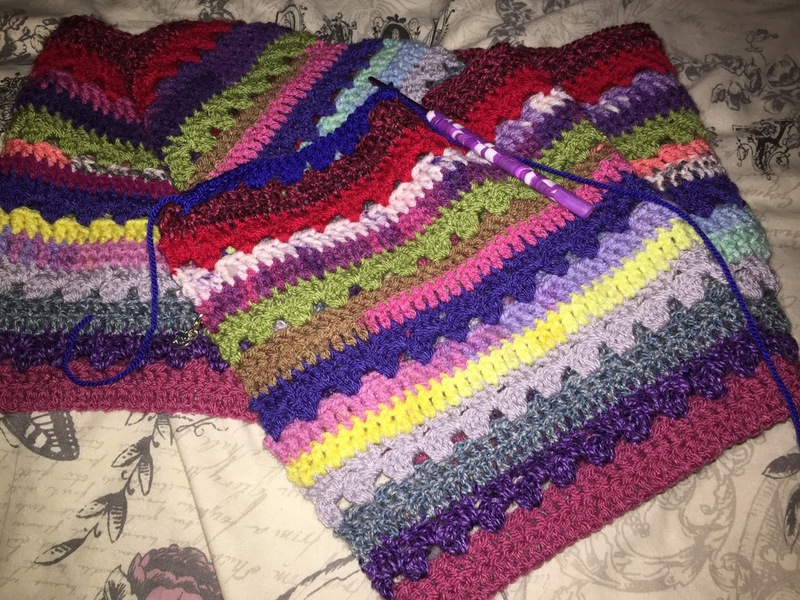 Thanks again for agreeing to test knit this pattern Tracy, I really appreciate it! The Follow the Butterflies Shawl pattern will be released on the 1st of March in both my Ravelry store & Etsy (if I can figure out how to add it on etsy lol), so remember to check it out and feel free to follow me on Instagram (click the link in the sidebar) for more details. In other news I have also recently started a super interesting new course, which is an Introduction to Cognitive Behavioural Therapy at a local college. I started this course through my work, and honestly I am so interested in learning more! I am actually applying to study for the Msc in Cognitive Behavioural Therapy beginning in September at Queens University, Belfast. It’s not something I ever thought of before I started the Introduction to CBT, but I’m so glad I did! As always I have been crafting away, knitting, crocheting & sewing. Knitting wise I am still working on a Campfire Shawl by Megan Fernandez for a friend, I have 2 pairs of socks on the needles (one pair nearly complete), 1 jumper, and of course I have many projects I am just itching to cast on. I’m trying (ha) to show some restraint and finish some of my current WIPs before I cast anything else on. We shall see how long that lasts! 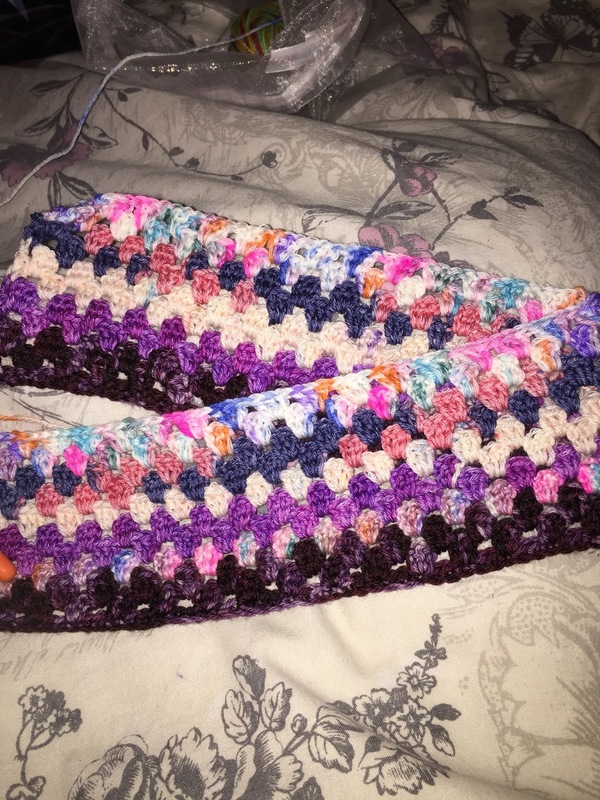 and my Granny Stripe Blanket (pattern also by Attic24) which I am using the rest of my sock yarn minis for. This weekend I spent all of Saturday prepping and cutting fabric for more bags for the shop, and I hope to get them sewn up in the next week or so. Unfortunately I can’t say when my next shop update will be, as it all depends on my health, my schedule and all the other things that crop up each week. So that’s it for today folks, I warned you it was going to be a long one! I do intend on posting more frequently, but please bear with me as it all depends on how knackered I am by the end of the day/week lol. © Naomi Buchanan/ CosyCuteKnits, 2015-2017. Unauthorized use and/or duplication of this material without express and written permission from Naomi Buchanan is strictly prohibited. 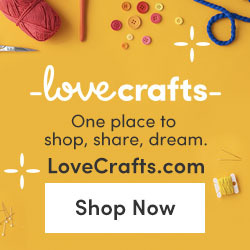 Excerpts and links may be used, provided that full and clear credit is given to Naomi Buchanan/CosyCuteKnits with appropriate and specific direction to the original content.